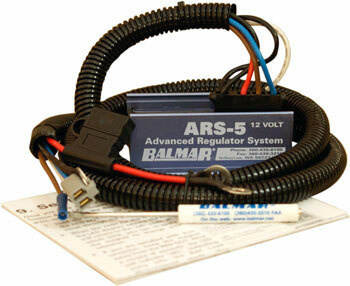 Enter to win an ARS-5 voltage regulator from Balmar. This regulator is ideal for almost any single P-type alternator installation and features five programs for charging based on deep-cycle flooded, gel, AGM or Optima spiral wound battery technologies, plus a universal default program that's perfect for standard flooded batteries. Built-in belt load management software provides simple adjustment to limit belt slippage and wear. Also includes alternator and battery temperature sensing (requires optional sensors) and output for a charge lamp. Includes a 54-inch wiring harness. A $369.95 value.